As the owner of a motorcycle, there’s a lot you have to do differently with your bike than you would with a car. Cars and motorcycles are as different as chocolate and vanilla, and anyone who knows a lot about cars could know nothing about motorcycles. This makes it difficult for you to find reliable service when you are in need of maintenance or any special treatment for your motorcycle. You don’t want to just find a car mechanic that can probably figure things out, nor do you want your friend who just works on bikes in his garage. You want a professional company that knows motorcycles well and that can help you with all of your motorcycle maintenance and service needs. Here at J Towing Services San Jose motorcycle towing is what we do. We tow bikes of all shapes and sizes, and we do it with the best of service to you. Our goals are customer satisfaction, reliable and efficient service, and safety always. You can be assured that we will take excellent care of your motorcycle as we provide your motorcycle towing. What makes motorcycle towing special? Can’t you just hook it up to a dolly or stick it on a flatbed like a car? Obviously not. A dolly would never be able to prevent the bike from getting damaged and a flatbed just isn’t secure enough. 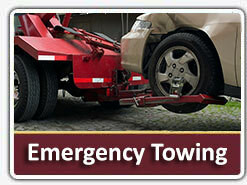 We will do flatbed towing with added security for the best motorcycle towing San Jose residents could ask for. Our nylon straps or motorcycle rail and wheel cradles are perfect for transporting the bike safely to wherever it needs to go because they secure it in place, preventing the motorcycle from sliding or moving around so that it could get scratched or damaged. We at J Towing Services are the company that you want helping you with motorcycle towing because we have the best equipment for doing so. We’re also a professional organization who knows how to do it all quickly and efficiently. 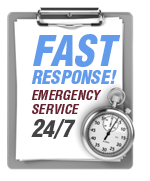 You’ll receive the best service in the fastest amount of time and for the best price as well. This is how we help you – by taking care of your bike. And another way we help you is by taking care of you. We offer the most competitive rates on the market, and we seek any ways we can make our service better for you. We arrive at your location soon, and we’re open 24 hours a day and 7 days a week to answer your call. 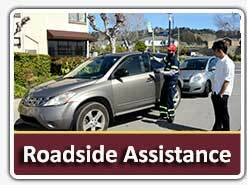 We’re here at your disposal, to help you and to serve your best interest no matter how inconvenient it may be to us. 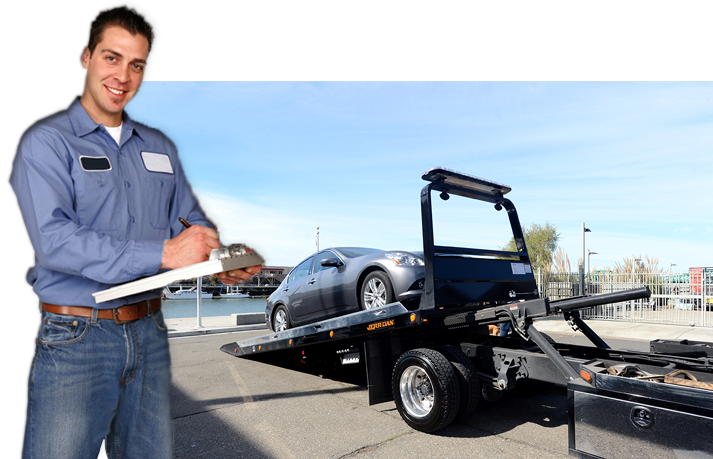 With J Towing Services and its network of independently owned and licensed affiliates, you’re receiving the best in customer service, the best in professionalism, and the best in motorcycle towing San Jose.